I don't often do reviews of gear on my blog. There are a few exceptions, sometimes because something new and exciting came across my path, but mostly I talk about gear when it lets me talk about something more general. I don't really feel that one person's opinion of what works for them is particularly enlightening to the consumer. It also gets tricky when you work in the business and half your paddling buddies are sponsored by someone (or work full time for a company/shop). I try to keep the focus on kayaking and not what's used to do it. Recently I've had the chance to try out a prototype and then the production version of a new boat. It's the Jackson Kayak Karma RG. To me, the interesting thing is not this boat in particular but what it represents. The easiest way to talk about that is to talk about the boat itself, so that's what I'll do. The Karma RG is meant to be a rock gardening boat. It's based on the Karma Unlimited which was built as a class V whitewater racing boat. The RG version (stand for Rock Garden or River Guide) adds a stern bulkhead/hatch, a retractable skeg, and perimeter deck lines. The mold (and thus basic shape of the boat) is the same for each version. The idea of using whitewater boats to play in the ocean has been around for quite a while - probably since whitewater boats first were designed by taking sea kayaks to the river. If you combine water and rocks you get the same basic outcome - whitewater. Doesn't matter if there's salt involved or not. So it makes sense that a boat that performs well in one place performs well in the other. Let's look at what makes a good rock garden boat. Maneuverability. You need to be able to dodge those rocks. This means a boat that handles well: turns quickly, accelerates fast, stops on a dime. What does it take to have that control? Rocker, good secondary stability, not too much width, solid outfitting. That's what creek boats have. The rocker allows for quick turns but it also allows the boat to ride up and over rocks. It allows a boat to boof. The flared and raised sidewall on the Karma also keeps the edge out of the water unless you lean to engage it. This makes it remarkably stable when you need to edge it to turn. Acceleration comes from a planing hull that rises over the water on a wave. And having solid thigh braces, adjustable hip pads, and a easily adaptable foot-brace pillar system makes getting a secure fit easy. All these things describe the regular Karma (which I reviewed here). But what makes a rock garden boat different? Should it be different? One of the main differences between the river and the ocean is where you start. On the river, you start on the river and just keep going. You have current to move you towards your destination. On the ocean, the play spots can be a long ways from your access point. You might even have to launch through the surf to get out where you want to go. You do a lot more flat water paddling on the ocean. That's where a skeg comes in handy. A skeg is a little fin that sticks out from the bottom of the boat. It helps the boat go straight. The problem with creating a maneuverable boat with lots of rocker is that it likes to turn. Paddling a whitewater kayak in a straight line over flat water takes some effort. The skeg reduces the amount of effort required, allowing you to save your energy for the fun stuff. Having a retractable skeg allows you to pull it up out of the way when you do start playing. The best of both worlds. Another thing that helps with all that flat water paddling is length. Length equals speed. It helps you race on the river, but it helps you get through the surf on the ocean. It also helps you catch less steep waves - the kind you commonly find when playing around rocks on the sea. A normal creek boat is going to be under nine feet long, a rock garden boat will be closer to twelve. The hatch that's on the Karma RG is also not just about convenience. If the event of an out of boat experience on the ocean, you can't always just swim to shore and drain your boat before climbing in. Any sea kayaker will tell you the quickest rescue (after the roll, of course) is the T rescue. In order for it to work, you need a bulkhead behind the seat that allows the water to drain out when your buddy picks up the front. That makes a ocean worthy boat that is much safer for users at all levels. The deck rigging is also a convenience/safety twofer. Sure, it's nice to be able to stick some snacks or a chart of the area under the bungies. But in the out of boat experience you also need to be able to hold onto your boat. And so does your rescuer. The Karma RG comes with solid deck lines [ON THE STERN] with piping that make it easy to grab. It's also easy to rig up more lines in front if you want them (I suggest you do) [EDIT: The boat comes with stern deck lines installed and space to rig bow deck lines if you want them - I reversed it in my original post.]. It's these little changes and details that turn a whitewater boat into an ocean going vessel that not only performs well but is designed for the environment. That's what makes the Karma RG a rock garden boat. But what do I think of it, you ask? I like it. The prototype was too heavy - an unfortunate necessity when prototyping a plastic boat. The production version is much lighter and more responsive. I think it shines when playing around the rocks - catching waves on the corner, running pourovers, charging through tunnels. In pure surf is has great speed and the edges allow for some control, but it still has quite a bit of volume and won't handle like a surfing boat will (check out the Jive to see what I mean). I really like the rigging on the production model, but the hatch leaves a little to be desired in the security department. It would be easy enough to add a strap holding the cover down, and you probably want that if you're going to be playing hard. For most folks it won't be an issue. I also like the idea of taking the RG on the river, using it as a River Guide boat. I could definitely teach whitewater classes in it since it has the same features, but the speed would help with attainments to get back up to students and the hatch would be great for storing lots of stuff with easy access. It would also make a great boat for multi-day trips, with way more room than a typical whitewater kayak. Bringing the luxury of sea kayak camping to something like a self-support Grand Canyon trip would be heaven. There area couple other similar boats out there: the Pyranha Fusion, Liquid Logix Remix XP and Stinger, even the Dagger Green Boat. Each started as whitewater boats that were adapted to something else. What stands out most about the Karma RG is that they outfitted it expressly for rock gardening. It's not just a boat you can make do what you want, it's actually designed for it. Let's hope that's a trend that continues. Here's a video of the brand new production version of the Jackson Kayak Karma RG being put through it's paces on the Mendocino Coast. Sean Morley, legendary sea kayaker and now Jackson Sales Manager, led the charge. Jeff Laxier and Cate Hawthorne of Liquid Fusion Kayaking also lent their expertise. You'll get a taste of what this boat is capable of in the right hands. Those who know me know that outside of kayaking my passion is writing. I've been working on a couple of novels for the past few years and I'm in the process of shopping them around for publication. (I write fiction under the name Blair B. Burke). 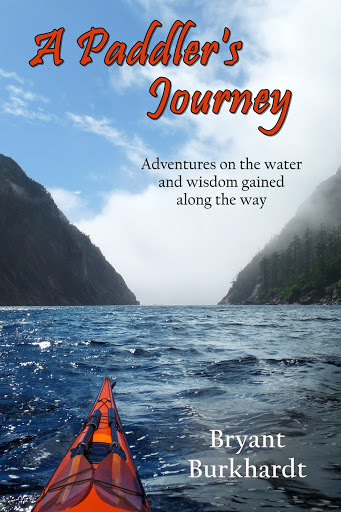 I've long had the idea to combine my two passions and write a book that involves kayaking, but there are several reasons why I've hesitated. First, there isn't much of a market. Kayaking is a small world, relatively. It's also a very specific world. It's hard to find something that appeals to kayakers and to the general public. So making much money off a kayaking book is unlikely. I'm not famous. Fame helps with making money. It gets publishers interested in you and gives you a podium from which to announce your book for sale. While I am quite happy that there are people out there who read this blog, and plenty of them by my reckoning, I don't really have a large reach when you look at the large scale necessary to make print runs profitable. I'm not that special. OK, my mom would argue differently. But my story is not unique. I haven't suffered a life-threatening injury. Kayaking hasn't saved me from a life on the streets. I didn't emigrate from Mozambique and become a professional kayaker. I'm a middle class white kid who grew up in Minnesota and learned to kayak in California. I haven't done any record setting trips and I don't paddle the gnar - I've never had much interest in doing either. Writing a book is hard. It's not that I'm afraid of the work - I've done it three times now and I enjoy it immensely. But to do it well takes time and effort. I need to spend those commodities on things that may have a return on the investment. Basically, I need to make money like everyone else. But right now I'm in between other projects. One novel is out on submission. I'm waiting until it sells to begin the sequel. Another novel is out with test readers to provide feedback for editing. Again, it's a waiting game on that. So I've decided to begin writing a kayaking book. Since I don't expect to make money I get to write the book I want, without worrying about market considerations. So I'm going to tell my story. I want to write about my journey from a newbie kayaker in a sit on top off the coast of Southern California to becoming a professional instructor and class V whitewater kayaker. 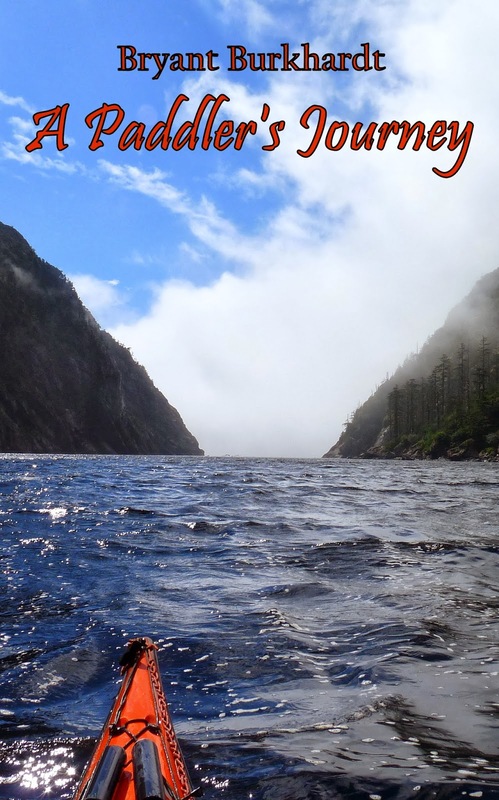 I plan to share the interesting stories that always come up when a group of paddlers are sitting around the campfire. Epic trips like the Rubicon and Channel Islands, scary stories like my swim on Royal Flush on the Kern. Fun times like winning the Kayak Polo National Championships. While I've written up a lot of these trips for this blog, I aim to include a little more. What I want to share is not just the fun kayaking stories that we all like to tell. I want to share what the experiences really meant to me, what I've learned from them. The last fifteen years of my life has centered around kayaking and it's had a profound impact on who I am. Again, that's not unique. I'm actually counting on the fact that other people have had a similar experience in this sport. Maybe their journey was different than mine, but kayaking has taken a lot of people to places they never thought they'd go. I want to share my trip with the thought that others will recognize their own in the themes it contains. So over the next few months I'll be sharing my progress. I'll post some excerpts as the stories develop. At the end of it all, I'll be putting out a book in both electronic and print formats. Hopefully you'll want to check it out. If not, I'll keep blogging anyway.